The ongoing Acting Chairman of the EFCC, Ibrahim Magu confirmation,took a step forward when he replied a query issued to him on Monday by the Attorney-General of the Federation and Minister of Justice, Mr. Abubakar Malami, with regards to the refusal of the Senate to confirm him. The senate had on the basis of the DSS’ report rejected President Muhammadu Buhari’s nomination of Magu as substantive chairman of the top anti-corruption body. top Federal Government officials accused of corruption, to find out the truth. 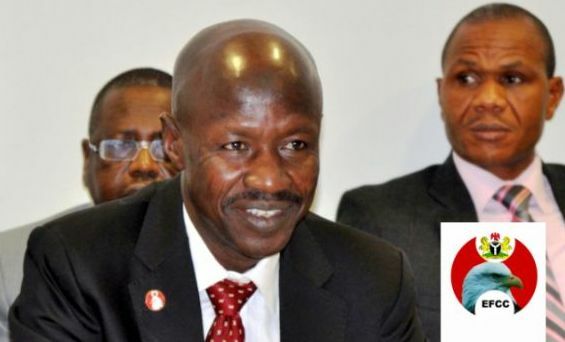 Sources close to Mr. Magu and the AGF confirmed to Punch in Abuja that the acting crime commission boss was given 48 hours to reply to the query dated December 19. The crime commission temporary head has given the details to the allegations against him. The report is now heading to Mr President.